Thursday, 17 May 2012, 2.34 pm. Grant McLauchlan is managing director of Crest Clean, a rapidly expanding commercial cleaning company that services medium to large-sized enterprises. He believes Crest is in a unique position to gauge the upswings and downturns in business activity. To be fair, McLauchlan doesn’t use the term “toilet brush index”, but he does say Clean Crest’s fortunes are a good match for regional unemployment numbers. “We saw a big clean-out in South Auckland and it was hell there for our local guy and us, as a result. I do believe the recession hit hardest in South Auckland and [pre-quake] Christchurch – and I don’t consider the other regions fared too badly,” he says. “Four years is a long time [but] we’re starting to see genuine economic growth. McLauchlan expects operating revenue of $25 million to increase 30 per cent this year. Crest Clean is an interesting firm because it’s a services company that exports to Asia. It has established a franchise in New Delhi, has spent considerable time looking at southeast Asian markets and is close to committing to Singapore and perhaps Vietnam. They’re exporting a business model and cleaning system, based on British Institute of Cleaning Science standards, in an industry that McLauchlan says is “shocking – staff turnover is between 60 per cent and 100 per cent per annum.” At Crest, the average tenure is over five years “and that’s weighted down by the 60 people who joined us this year”. 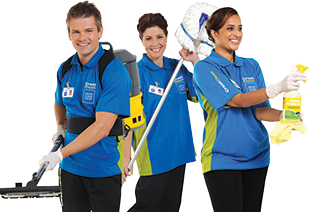 At its most basic, Crest takes 15 per cent of franchise revenue in return for its colour-coded cleaning system (“blue for loo, for instance”) and handles all the branding, advertising, tax and GST returns. But there’s clearly a strong dynamic between franchise owners and head office that drives growth. The Indian venture came about because of the strength of old-fashioned business friendship. A young, well-to-do Indian couple, Ajit and Shikha Jain, came to NZ and set up a Waikato franchise, then quickly upgraded to a South Auckland regional franchise. They became friends and the McLauchlans went to Delhi to meet the folks. Then came the call for the Jains to return home. It was only natural that the Crest brand would be “Indianised”. Clients include Indian government agencies, schools and medical services. Revenue is NZ$1.5 million now, but McLauchlan describes the operation as “on the cusp”. Give Singapore six months, a year, then the same company can take Malaysia. “And then there’s the Middle East”.